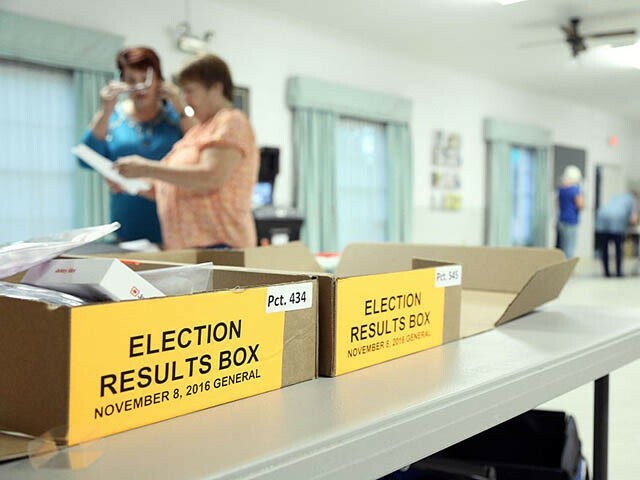 Broward County, Florida’s Supervisor of Elections Office (SOE) has recently come under fire for multiple allegations of voter fraud, including the improper handling of absentee ballots and an accusation that SOE employees were secretly filling out piles of blank ballots in a back room. The voter fraud allegations in Broward County, Fla. continued today, as this morning a sworn affidavit was released stating dozens of mentally-ill or mentally incapacitated voters have had their ballots effectively filled out by individuals claiming to assist them. Florida Republican operative Lauren Cooley first broke the story on Twitter earlier today. The affiant is a poll watcher, certified by the Broward County Supervisor of Elections, and states that these incidents have been ongoing at the North West Regional Library polling location in Coral Springs, Fla. since early voting began on Oct. 24. Per voting laws, assisting a voter who is mentally or physically incapable of filling out their own ballot is limited to reading off the ballot language and receiving a form of confirmation from the voter before taking action to fill in the ballot. Furthermore, this interaction must be witnessed by two poll workers. These measures were never enforced as dozens of mentally ill voters had their ballots filled out on their behalf without interaction between the assistor and the voter and without oversight from poll workers, according to the affiant. Cooley spoke at length with the NW Regional Library’s registered poll watcher and the voting location clerk, who this reporter identified as Claire Dunn of Coral Springs. According to Cooley, Dunn is exasperated with the entire process and will not return to her post next election cycle. “We call Brenda Snipes’ office and they don’t care. They say let everybody vote. Let everybody vote. So we do,” Dunn told Cooley. “They don’t want any attention brought to them, any legal trouble,” she continued. One incident detailed in the affidavit describes a man filling out a ballot on behalf of a woman who was not physically capable of filling out her own ballot. When the man completed his own ballot, he proceeded to fill out the woman’s ballot without any interaction or form of consent. She sat alone in an adjacent booth, showing signs of physical discomfort, with her arms wrapped around herself and rocking back-and-forth, per the sworn affidavit. The woman then attempted to insert her ballot into an optical scanner and was ultimately unable to do so herself. A poll worker inserted the ballot for her. Upon seeing the incident, Dunn called an official SOE office and was simply told “Everyone will vote.” No further action was made to address these accounts of voter fraud, despite the registered poll watchers many attempts to alert the Broward SOE. “These people are infirmed, if you know what I’m saying, they sit in their wheelchairs and stare straight ahead while their ‘assistor’ effectively marks their ballot,” the affiant told this reporter. “These people even pulled up in a school bus, brought out a mentally ill person, had him vote and then walked out while making smartass comments about Trump,” he added.